Call 844-Rip-City to reserve your seats now. Want to learn more about season tickets? Contact us today. PLEASE NOTE: We have changed our policy for those who purchase tickets exclusively for resale. The Trail Blazers reserve the right to cancel or prohibit purchases that are believed to be purchased for the sole purpose of resale. Trail Blazers Out-of-State Policy: At this time, only customers located in Oregon and Southwest Washington are able to purchase season tickets, packages and group tickets. Customers who secure tickets online with an out-of-state address may have the seats released and payment refunded on a pro rata basis. Customers purchasing with a PO Box or similar address may be asked for confirmation of local residency following their purchase. *Price includes $30 in credit per ticket, per game. *Please refer to your invoice for your specific parking cost, if applicable. Sharing your tickets has never been easier! Explore all the possible ways to digitally manage your tickets directly through your online account. Never worry about a lost ticket or a last-minute ticket transfer; we provide many convenient methods to manage your season tickets quickly, easily and 24-hours a day. To take full advantage of our digital ticketing options, make Ticket Access Cards your preferred entry method for the 2018-19 Trail Blazers season. Email your tickets directly to friends and family. Unable to make it a game? Exchange your seats to a different game of equal or lesser value via our online Ticket Management site. Don’t want to carry a ticket? Use your phone as entry! 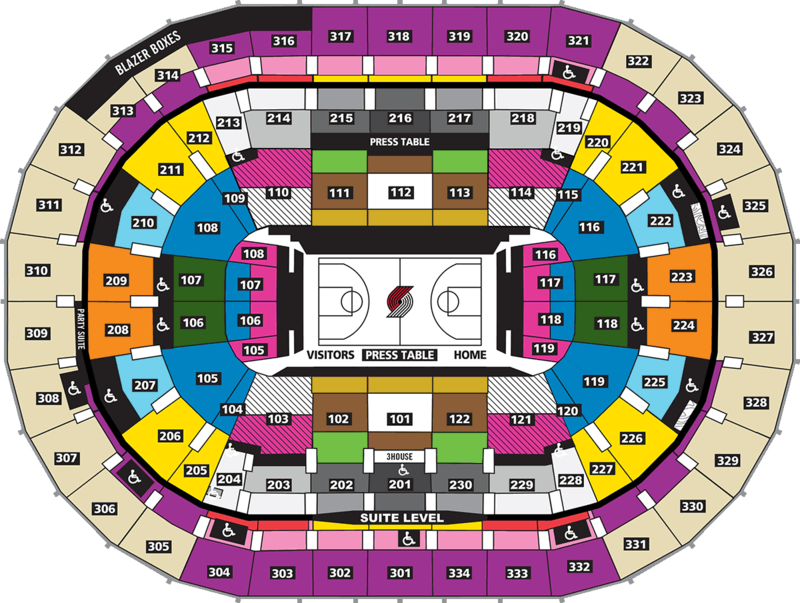 All of your tickets can be accessed directly through your Trail Blazers mobile app. As a member of Rip City United, we are dedicated to providing you with access to the best seats, best prices and best benefits. 2018 © Rip City United. All rights reserved.